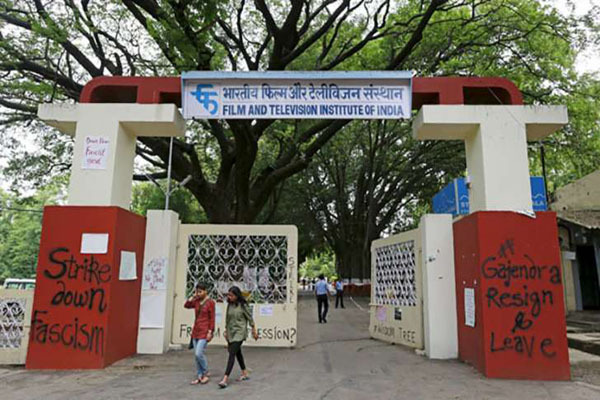 Bhubaneswar(PTI): The Film and Television Institute of India (FTII), Pune, will conduct a week-long film appreciation course here as part of the institute’s nationwide programme to popularise film learning, the Director of FTII, Pune, Bhupendra Kainthola said. The course will provide a unique opportunity to the cine lovers of Odisha, to understand cinema from one of the world’s leading film schools, he said. The film appreciation course, to begin from February 14 will be conducted for the first time in Odisha, an official release said. “Odisha has a film industry that goes back over 75 years and is still a robust one. As part of the FTII’s ongoing nation-wide programme to popularise film learning, a week-long film appreciation course has been designed for Bhubaneswar,” Kainthola said. For over five decades, film appreciation was just a once a year course, conducted only in Pune and this made little sense for a country with a rich cinematic history and millions of cinema lovers, he said. “Therefore FTII embarked on a mission to promote cinema literacy through film appreciation courses across the country, making film education accessible and affordable,”he said. In the last nine months, the FTII has conducted film appreciation courses in Pune, Mumbai, Nagpur, Delhi, Jaipur, Guwahati, Srinagar (J&K), Haridwar and Srinagar (Uttarakhand), he added. The programme will be conducted with inputs from National Film Archive of India (NFAI), Pune, in association with the Directorate of Technical Education and Training (DTET), Odisha government, the official release said. Though the programme will be open to all, only 100 participants will be admitted on a first-come-first-served basis, and it will be held at the Museum of Tribal Arts & Crafts. The Course will be conducted by renowned film academic Pankaj Saxena, an FTII alumnus, who is a filmmaker and TV programmer based in New Delhi, it said.